Everyone is welcome, to this inauguration event, as well as Sunday morning cycle ride + breakfast tradition. Congrats Sri, all the best! Submitted by silkboard on 9 May 2013 - 11:38am. 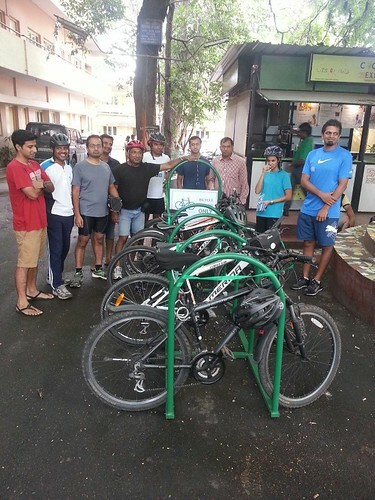 @srinidhi, great job in designing the cycle stand, and making this happen. Unfortunately, I am out of town this weekend, so will not be able to join. But the cycle stand is a start of something. @das, @idontspam - you have been the cycling inspiration for many. cheers to you as well. Submitted by idontspam on 9 May 2013 - 2:49pm. 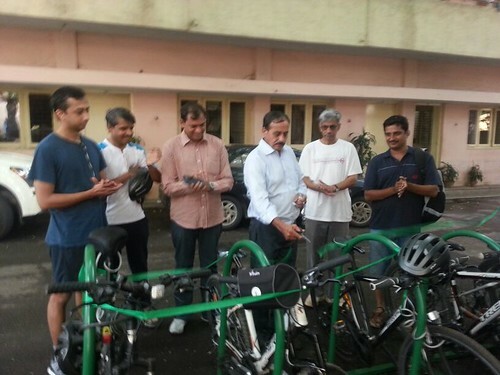 WIll be there, on my cycle as usual at 7:30 for our breakfast ride. Formal vote of thanks to Diwakar Rao of Airlines hotel will be done when he gets in around 8:30. Unlike politicians stand will be usable from the moment its installed either today or tomorrow by Srinidhi and will not wait for any ribbon cutting. Submitted by kbsyed61 on 9 May 2013 - 6:42pm. Pls provide the Address and exact loaction with some land mark. Submitted by idontspam on 9 May 2013 - 6:48pm. Submitted by psaram42 on 10 May 2013 - 12:15pm. Here is the location in Shantala Nagar. Click - 1 . For google hybrid Click - 2 The Bowring club is on the Other side of the road of the hotel;. Submitted by Bheema.Upadhyaya on 10 May 2013 - 1:01pm. It is motorized vehicle, but powered through Solar/Grid combination. (Semi-Clean resource) And my comparison shows its next best to bicycle. Well, I am planning to have a sticker on my eBike. 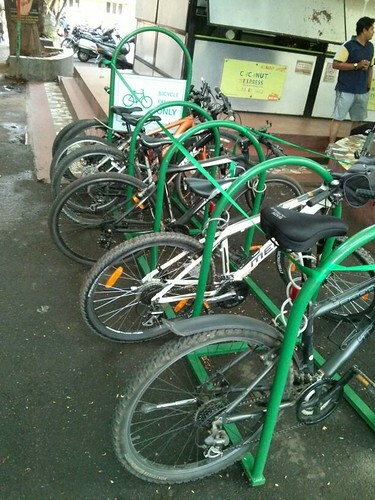 "Bicycle is the best, I am next"
Submitted by srinidhi on 13 May 2013 - 11:54am. Here are some pictures from the inaguration..